protest against the current and continued manipulation and deterioration of institutions of state. 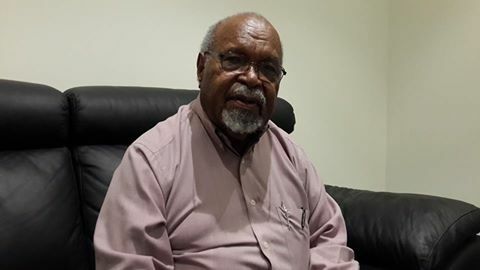 Sir Michael said, “People of Papua New Guinea must not tolerate elected leaders who are condoning the actions of the O’Neill regime by remaining silent. Silence means acceptance of the glaring abuses of processes that are taking place around us. “Before long our institutions will be completely useless because elected leaders have neglected their duties to stand up against the current manipulations by leaders holding high offices. “I support whole heartedly the call by another former Prime Minister, Sir Mekere Morauta’s public statement of 17 April 2016, for Mr O’Neill to stop disrespecting the country’s highest office. “Throwing the word ‘integrity’ around to conceal abuses is absolutely deceitful and wrong. To have integrity is to submit yourself to processes of law and the State of Papua New Guinea. “I thus call on Mr Peter O’Neill to respect the Office of the Prime Minister and surrender to police and appropriate authorities so they can carry out their duties without obstruction and interference. Calling members of the Royal PNG Constabulary vigilantes is intolerable when officers of the law are merely carrying out their Constitutional duties. No person including myself is above the law. tribunal and accepted the penalties of its ruling. “I now appeal to Mr Peter O’Neill to do the same and submit to our laws to uphold the INTEGRITY of the Office of the Prime Minister. “Unfortunately it saddens me to state that in the same manner that Mr O’Neill steadfastly held on to office after the Supreme Court declared twice in 2011 and 2012 that his government was illegal, he continues to exhibit the same characteristics through the ongoing rhetoric and manipulation. “In order to clear charges against him relating to the Paraka Case, Mr O’Neill must submit himself to the orders of our courts so that others who also have pending arrest warrants can do the same. In the interest of the people of Papua New Guinea Mr O’Neill must stop eroding the institutions of government for the sole purpose of defending himself. “Sadly our Police Constabulary is in disarray. The previous two commissioners who defended Mr O’Neill have been set-aside with contempt charges against them. And Mr Baki’s continued defiance of court orders in defence of Mr O’Neill is on a collision course with the judiciary. the law is the only way that any charges against you can be cleared,” said Sir Michael.